This is a replacement HPI TF-40 2.4GHz FHSS 3-Channel Transmitter. Use the comfortable and feature-packed HPI TF-40 2.4GHz radio system for supreme control and confidence when controlling your car or truck kit! 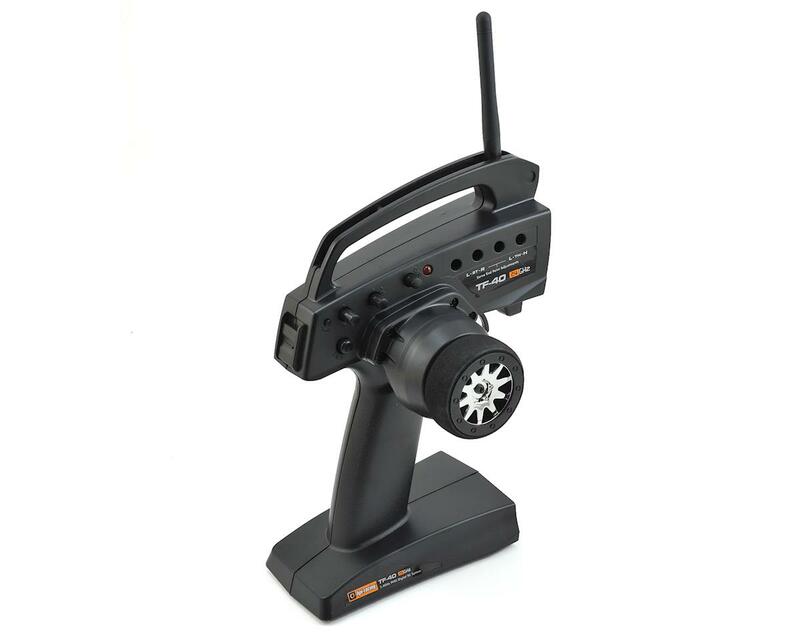 The HPI TF-40 radio system uses the latest digital 2.4GHz radio technology to give you trouble-free, total control of your RC car! You will be able to confidently drive your HPI kit with other drivers without worrying about things like frequencies or radio conflicts. This is a fully-featured, lightweight, 3-channel radio with advanced ergonomic features and total adjustability. Set the radio up for your car with custom features like servo reversing, center trim, end point adjustments, dual rate and more. Only 4 "AA" batteries are required to power the TF-40, so it's light in your hands, and the drop-down steering wheel makes it comfortable to hold. With the adjustable, built-in failsafe feature, you will be protected just in case the radio transmitter loses its connection with the receiver. Use with HPI105383 RF-40 2.4GHz receiver in RC vehicles with electronic speed controllers with BEC (Battery Eliminator Circuitry), or nitro/petrol kits that use 4 cell (6V) receiver packs. 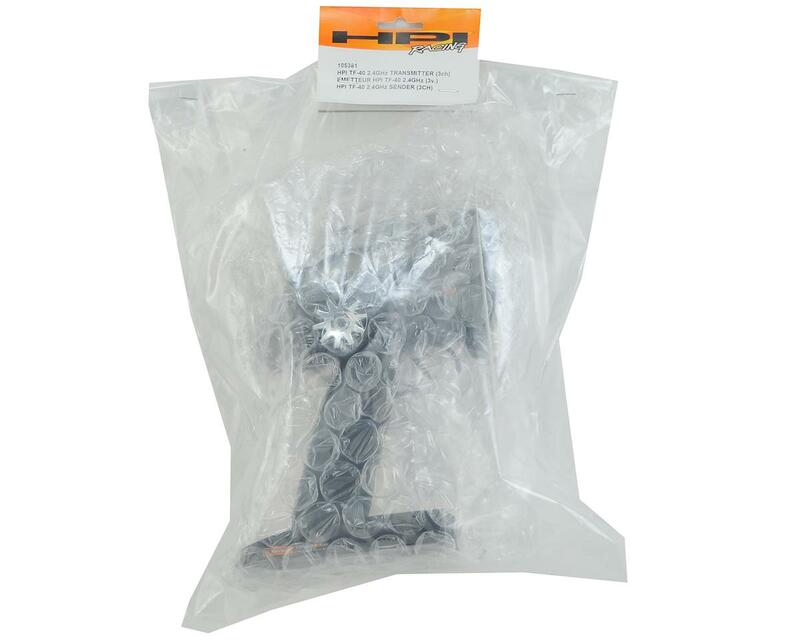 The TF-40 is also available bundled with the RF-40 in the HPI105385 HPI TF-40 / RF-40 2.4GHz RADIO SET!